Last week, the International Court of Justice heard three days of argument concerning Timor-Leste’s pending request for provisional measures in Questions relating to the Seizure and Detention of Certain Documents and Data (Timor-Leste v. Australia). The case was brought by Timor-Leste following Australia’s execution of a search warrant at the office of Timor-Leste’s Canberra-based attorney. Australia claimed that the warrant was appropriately issued for national security purposes, and used it to obtain extensive electronic and paper files concerning Timor-Leste’s pending arbitration against Australia before a Hague tribunal. In that arbitration, Timor-Leste is seeking to overturn a 2007 treaty between Australia and Timor-Leste, as a result of Australia’s espionage on Timor-Leste’s internal communications during the course of negotiations. Australia claims that it was justified in seizing Timor-Leste’s legal files because Timor-Leste’s evidence of Australia’s espionage was provided by a retired Australian spy. That spy, dubbed “Officer X,” informed Timor-Leste of the 2004 bugging operation as a result of his belief that the surveillance had been conducted for improper commercial purposes, rather than national security interests. It is a complicated and messy situation, both legally and politically, but the significance of Australia’s seizure of Timor-Leste’s legal files, as well as Australia’s prior espionage against Timor-Leste’s government, can only be understood in the context of the history of the past treaty negotiations between the two countries. To give some background for future posts concerning the legal claims being raised by Timor-Leste and Australia, provided here is a timeline of events leading up to the recent case before the ICJ. Trying to keep track of all the contested territorial claims in the South China Sea and East China Sea can be difficult. There are hundreds of islands, reefs, rocks, and submerged shoals that are in dispute, and the relevant coastal states don’t always agree on which of those categories is applicable to each specific maritime feature. To make matters worse, most of those features also have at least three different common names in use, which reflects the myriad of competing territorial claims throughout the region. So in order to have an easy reference source regarding the locations and identities of the disputes rocks, reefs, and islands, I’ve created a Google Earth collection with placemarkers for China’s disputed maritime claims. Right now, this Google Earth file provides indicators for (1) the geographical coordinates declared by China as its baselines for measuring the breadth of its territorial sea, pursuant to Article 16 of UNCLOS, for (i) China’s mainland territories; (ii) the territorial sea and EEZ divisions agreed upon in the 2000 treaty between China and Vietnnam; (iii) China’s claimed territorial baselines in the Senkaku Islands; and (iv) China’s claimed territorial baselines in the Paracel Islands; (2) the submerged features, rocks, and islands of the Paracel Islands which form the basis of China’s claimed territorial sea baseline; (3) the submerged features and rocks in the Spratly Islands and in the Scarborough Shoal that are identified as areas of dispute in the Philippines’ Annex VII arbitration against China; and (4) China’s Nine-Dashed Line Map, outlining China’s nonspecific territorial claims in the South China Sea. Using Google Earth to view the disputed territories is also helpful in that it provides access to a large collection of user-uploaded photos of the disputed maritime features — which is handy for getting a better idea of just how rock-like many of these “islands” are, or for what a “low-tide elevation” really looks like. It also allows you to play around with the various distances involved, which puts into perspective the tenuousness of some of the territorial sea and EEZ claims that are being asserted. There are nine states that have coastline along the South China Sea: the People’s Republic of China, the Philippines, Malaysia, Brunei, Indonesia, Singapore, Thailand, Cambodia, and Vietnam. There have been ongoing disputes for decades between those nations concerning their competing claims of sovereignty and jurisdiction over the South China Sea, as well as the islands and reef features it contains, and most of those disputes have involved China. China alleges that the extent of its claims of sovereignty over the South China Sea are based solely on its historically established territories and its lawful jurisdictional entitlements under UNCLOS and international law. The fact that these historical and legal claims provide China with self-proclaimed sovereignty over 80% of the South China Sea is, one assumes, merely a coincidence. China’s coastal neighbors have, understandably, objected to China’s overreaching in its territorial claims under the Nine-Dotted Line, and it has been a frequent point of diplomatic contention in recent decades. Previously, however, none of the disputes concerning the South China Sea territorial claims have been successfully adjudicated by an international tribunal. The reason for China’s refusal to play ball is obvious: China’s claims are devoid of any support under any customary international law or treaty. The longer China can go without having the unlawfulness of its claims officially decreed, the better China’s chances are at having its non-lawful claims take on the color of lawful action by dint of longstanding practice. As such, China has zero interest in allowing any tribunal, binding or unbinding, to render a legal decision concerning the validity of its maritime territorial claims. China can, and has, found a way to somewhat legally assert its indefensible claims without facing legal challenge, through bullying any states that object into agreeing to submit the dispute to diplomatic negotiations rather than legal recourses. Article 280 of UNCLOS provides that “Nothing in this Part impairs the right of any States Parties to agree at any time to settle a dispute between them concerning the interpretation or application of this Convention by any peaceful means of their own choice.” As long as China can convince (or coerce) its maritime neighbors to agree to never-ending rounds of “bilateral negotiations” and “consensus building,” then the actual lawfulness of its claims will never be tested. But in bilateral negotiations (conveniently, China always insists on bilateral, not multilateral), the strength of each party’s bargaining position is dependent on the weight of its political resources, not the weight of its legal arguments. This is precisely what the territorial divisions and corresponding dispute resolution procedures of UNCLOS were designed to avoid. UNCLOS’s provisions reflect a core goal of the parties in entering into the Convention, which was divorcing maritime sovereignty from maritime strength. Under UNCLOS, all coastal states, no matter the size of their GDP or their military, are, theoretically, entitled to the same breadth of their territorial seas and Exclusive Economic Zones (EEZ). 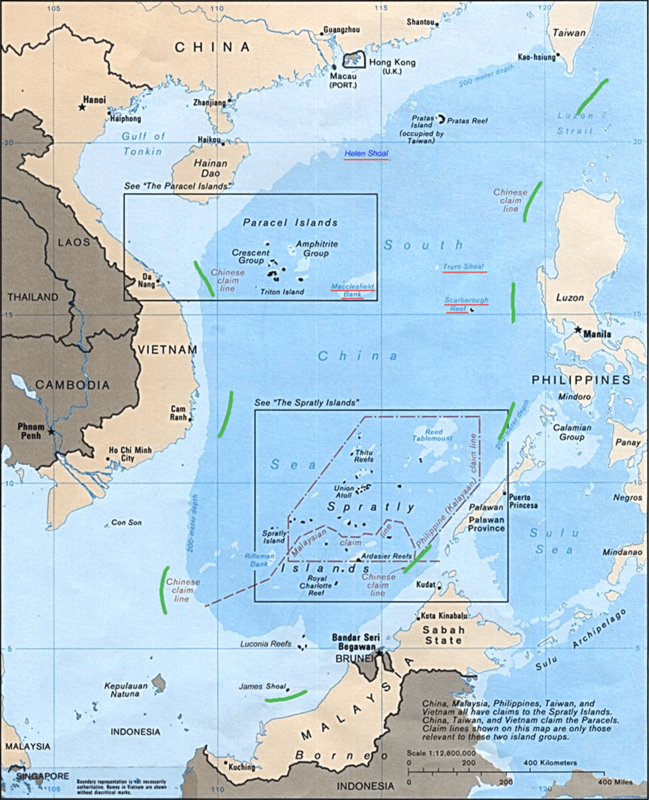 UNCLOS was designed this way, in part, to prevent larger and more developed states from going on a maritime territory claiming rampage, done solely for the purpose of establishing a historical claim to occupation and use, with the goal of fully exploiting these territories at a future date. In short, there is no “use it or lose it” clause, under UNCLOS — developing states are not at a risk of losing the natural resources in their EEZ through inaction, and so do not need to divert resources towards shoring up their claims of sovereignty. The resources are theirs, and will be their waiting once a state’s economy develops to the point where it is able to harness and use those resources for itself. China, in contrast, has subscribed to the exact opposite philosophy when it comes to maritime claims. China’s actions are consistent with its belief that, by virtue of its size and military power, it can claim any part of the ocean that is not actually within another state’s territorial seas. China often uses the language of law in asserting its maritime claims, but China’s actions indicate that it believes its claims are, in actuality, supported by the force of its military and not by the force of law. In filing its Statement of Claim, the Philippines is now hoping to force China into either conforming its actions with its legal claims, or else be plainly shown to be a hypocrite who is not acting within the bounds of international law. It is not as if that would come as a surprise to anyone, but in terms of drumming up global support and united opposition against China’s maritime aggression, it could go a long way in the Philippines’ favor. Of the three categories of disputes in Article 298, it is the category described at 298(1)(a)(i) that is likely most relevant here: “disputes concerning the interpretation or application of articles 15, 74 and 83 relating to sea boundary delimitations[. ]” Although the Philippines attempted to artfully draft its Statement of Claim to avoid implicating any of the disputes within Article 298’s categories, it is likely that at least some — though not all — of the Philippines’ claims would in fact encroach on the interpretation or application of articles 15, 74, and 83. Any party to a dispute which, in accordance with Part XV, section 3, may be submitted to conciliation under this section, may institute the proceedings by written notification addressed to the other party or parties to the dispute. Any party to the dispute, notified under paragraph 1, shall be obliged to submit to such proceedings. If that is what happened here — if the Philippines did give written notification to China that it wanted the parties to engage in conciliation, and China declined — then the Philippines may have some argument that it was entitled to immediately proceed with an Annex VII arbitration, and that China cannot now validly object to the arbitration tribunal’s jurisdiction. This isn’t a watertight argument — the Philippines could have proceeded with mandatory conciliation, per Art. 12 of Annex V, even if China refused to participate — but the “provided that” language of Article 298 could be read to imply that Article 298’s opt-out procedures only apply on the condition that the party accepts submission of those disputes to mandatory conciliation. If China declined to comply with the condition precedent of Article 298’s opt-out provision, then perhaps the Philippines was entitled to proceed under Section 2 of Part XV. there can be no doubt that disputes concerning the interpretation or application of other provisions, that is, those regarding the territorial sea, internal waters, baselines and closing lines, archipelagic baselines, the breadth of maritime zones and islands, are disputes concerning the Convention (see articles 3 to 15, 47, 48, 50, 57, 76 and 121). Although far from conclusive, it does suggest Judge Wolfrum may be willing to find that a maritime delimitation dispute of the type brought by the Philippines arises under UNCLOS pursuant to articles other than 74 and 83. If so, that would give the Philippines at least one potential vote on the arbitration panel — and a persuasive one, at that — in favor of an Annex VII tribunal finding in favor of its own jurisdiction to adjudicate the Philippines’ claims. On October 2, 2012, the Ghanaian government detained an Argentinian “warship”, the ARA Libertad, that had been docked at the Ghanaian port of Tema while on a cadet training mission. As a matter of domestic law, the detention of the ARA Libertad was a routine court action, nothing more than an ex-parte injunction order, duly issued by a Ghanaian civil court, for the purpose of preserving an asset that might be used to pay off a potential judgment against the asset’s owner. The plaintiff in that action, a Cayman Islands investment fund, was attempting to collect on a one billion dollar judgment against the Republic of Argentina — and had decided that one way of doing so would be to seize Argentinian ships had sailed into foreign jurisdictions. As a matter of international law, however, the detention of the ARA Libertad was not quite so routine. NML Capital, the Cayman Islands investment fund responsible for the proceedings, might have thought it was being clever in targeting Argentina’s ships to collect against the judgment, but using a foreign sovereign’s judicial power to seize another nation’s “warship” — even if that warship is just an unarmed training boat — is not something that is going to go down well, diplomatically speaking. And after diplomatic measures failed to resolve the dispute, Argentina responded by notifying Ghana, on October 29, 2012, that it was submitting the dispute to arbitration pursuant to Annex VII of the UN Convention on the Law of the Sea. Although both states are parties to UNCLOS, Ghana has not, in accordance with Article 287 of UNCLOS, declared a preferred venue for the settlement of disputes, which means that the forum for dispute resolution between Ghana and Argentina defaulted to UNCLOS’ arbitration procedures, at Annex VII. As it turns out, this situation worked out very well for Argentina. 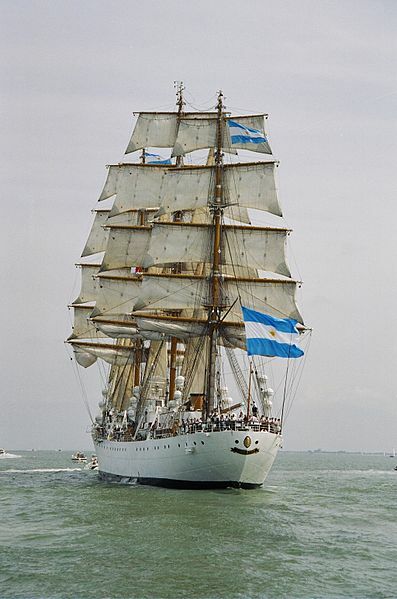 As a result of its procedural handling of its claims concerning the ARA Libertad, in a mere six weeks of international litigation, Argentina was able to (1) secure the release of its vessel and (2) created a procedural posture which would likely result in the effective termination of any further related judicial proceedings, no matter the venue. This result is due, in part, to the fact that the submission of a dispute to an Annex VII arbitral tribunal doesn’t actually do anything, other than serve as notice. The institution of proceedings under Annex VII is accomplished by a simple written notification to the opposing party, and once that is accomplished, nothing further happens until the parties decide upon a list of five arbitrators to sit on the panel. When Argentina notified Ghana that it was submitting the dispute to arbitration, Ghana was “supposed” to respond by appointing its own freebie arbitrator within 30 days of receiving the notification. But if Argentina does not thereafter force the matter by submitting a request for the President of ITLOS to make the remaining appointments, then the “arbitral tribunal” would simply never get off the ground. And that appears to be what happened here. Two weeks after instituting the Annex VII arbitration, on November 14, 2012, Argentina instituted proceedings before the International Tribunal on the Law of the Sea by requesting that the Tribunal issue a provisional ruling ordering Ghana to release the ARA Libertad. Argentina’s request was made pursuant to Article 290(5) of UNCLOS, which provides that “[p]ending the constitution of an arbitral tribunal to which a dispute is being submitted under this section, any court or tribunal agreed upon by the parties or, failing such agreement within two weeks from the date of the request for provisional measures, the International Tribunal for the Law of the Sea… may prescribe, modify or revoke provisional measures.” Because the request for provisional measures was made in its initiation of the arbitration panel, in the letter to Ghana, Argentina was able to request a provision ruling from ITLOS a mere 14 days after it notified Ghana that it wanted to convene an Annex VII arbitration panel. Of note, this sort of speedy provisional ruling could not have been requested in a case that was actually before ITLOS on the merits — although 290(1) allows ITLOS to issue provisional measures where it feels they are necessary, it does not explicitly allow a party to request them. Only by initiating an Annex VII arbitral tribunal could Argentina proceed with the request for provisional measures. Ghana shall forthwith and unconditionally release the frigate ARA Libertad, shall ensure that the frigate ARA Libertad, its Commander and crew are able to leave the port of Tema and the maritime areas under the jurisdiction of Ghana, and shall ensure that the frigate ARA Libertad is resupplied to that end. In its Application for Procedural Measures, at paragraph 70, Argentina stated that “[t]o date, Ghana has not appointed a member of the arbitral tribunal and has not reacted to the invitation of Argentina to enter into discussions with it for the purpose of appointing the other members of the Annex VII arbitral tribunal.” This was somewhat premature at the time, as Ghana had until November 29, 2012 before it was required to appoint its own arbitrator, and Argentina had simply proceeded with filing its Request for Provision Measures at its earliest available opportunity. But, as far as I can ascertain from the available records, Ghana never did get around to appointing an arbitrator. And, thereafter. Argentina never requested that the ITLOS President, pursuant to Article 3(e) of Annex VII, step in to make those appointments on the parties’ behalf. Although, pursuant to Article 3(b) of Annex VII, Argentina did appoint a single arbitrator to be on the arbitral tribunal (it could hardly have avoided doing so), there is no indication that Argentina has taken any further actions with regard to the arbitration panel it instituted. Having received “interim” relief that gave it everything it wanted, the Annex VII arbitral tribunal is now forgotten. In other words, Argentina “initiated” an arbitration proceeding it did not intend to follow through on. The result is that the Tribunal’s Art. 290(5) provisional measure will, in effect, operate as a decision on the merits, and no further adjudication of this dispute will occur. The arbitral tribunal appears to have been stillborn, and the domestic suit also appears to have been abandoned. On December 19, 2012, the Ghanaian Supreme Court ordered that the ARA Libertad be released, in accordance with the Tribunal’s ruling, and the case was thereafter abandoned. After all, with the ARA Libertad no longer available for attachment, NML Capital had no reason to continue its Ghanaian collection action. At least for Argentina, anyway. The Tribunal’s award of provisional relief in the ARA Libertad case raises serious concerns about the effectiveness of UNCLOS’s dispute resolution procedures, however. Because, having received the provisional relief it requested from the Tribunal, Argentina seems to have the Annex VII arbitration that Argentina initiated seems to have been discarded. The Tribunal’s judges are not unaware of this problem. In fact, three of the four separate opinions that were issued along with the Tribunal’s order in the ARA Libertad case make direct reference to the judges’ concerns regarding the Order’s lackadaisical approach to the issue of jurisdiction under Article 290(5). After noting their concerns, however, all three of those opinions then promptly fall over themselves in coming up with convoluted explanations for why, despite the significant jurisdictional problems in Argentina’s case, they nevertheless were ultimately in agreement with the Tribunal’s decision to award Argentina its requested relief. Although we disagree with the finding of the Tribunal that the arbitral tribunal under Annex VII has jurisdiction in accordance with article 288, paragraph 1, of the Convention, in our view, Ghana is estopped from opposing the proceedings at this phase. … The Tribunal cannot accept the submission of Ghana “to reject the provisional measures filed by Argentina on 14 November 2012”. Ghana is estopped from presenting any objection on the matter, whatever the validity of the arguments presented to that effect. In other words, according to Wolfrum and Cot, maybe the Tribunal doesn’t have jurisdiction to adjudicate a dispute between two sovereigns — but that’s okay, because, really, this is just a default judgment case, anyway, so there isn’t any real sovereignty violation going on. As provisional measures are prescribed without there being any need to prove the conclusive existence of jurisdiction or the validity of claims, a request for measures that would result in virtually resolving the dispute should not be accepted. The Permanent Court of International Justice emphasized this point when it stated that any request ‘designed to obtain an interim judgment in favour of a part of the claim formulated in the Application’ should be dismissed. In the present case, the relief sought by Argentina in the request, which is the unconditional release of the warship ARA Libertad, comes close, in substance, to the principal relief sought in the claims submitted in its Application. However, this fact alone should not preclude the Tribunal from considering the measures sought by Argentina. In addition, the various forms of relief sought by Argentina in its Application instituting the Annex VII arbitration are obviously broader than those sought in the request for provisional measures. But Judge Paik’s justification for the Tribunal’s award is unsatisfactory. Because Argentina did receive, in substance, all of the relief that it had sought in its Application — as the “obviously broader” “various forms of relief” that Judge Paik makes reference to in his opinion were largely superfluous demands that the arbitral tribunal would not have even had jurisdiction to grant if it wanted to. In fact, I suspect that Argentina was fully aware that no tribunal would ever grant the overreaching demands it made in its original Statement of Claim. Rather, Argentina was fully aware that it would never succeed in having Ghana be ordered to give a “solemn salute” to Argentina’s flag, but it deliberately through the bogus demand into its claims anyway — so that, when it made its play for provisional relief in front of the Tribunal, Argentina could argue that the “provisional” measures it was seeking were not identical to the relief it sought in its Application. I think that international law and the relevant articles in the Convention should be considered as a whole and in these circumstances article 32 can be deemed to include internal waters; not only because it does not explicitly exclude the immunity of warships in internal waters, but because it should be read in congruence with other rules of international law which guarantee such immunity. Therefore, where the law is silent a tribunal ought to take a pragmatic approach and, bearing in mind the circumstances of the case, interpret and construe the law accordingly. In other words, the Tribunal’s decision to award provisional relief to Argentina was justified for “pragmatic” reasons, and in accordance with well established norms of international law that exist outside of narrow scope of UNCLOS’s subject matter jurisdiction. While the ARA Libertad case undoubtedly put the Tribunal in an uncomfortable position — and I can understand the Tribunal’s reluctance to be complicit in one state’s unprovoked seizure of another nation’s military vessel — in order to avoid that result, the Tribunal arguably engaged in an overly expansive interpretation of its own jurisdiction. Any attempt to broaden the jurisdictional power of the Tribunal and that of arbitral tribunals under Annex VII going beyond what is prescribed in article 288 of the Convention is not in keeping with the basic philosophy governing the dispute settlement system of the Convention. It undermines the understanding reached at the Third UN Conference on the Law of the Sea, namely that the dispute settlement system under the Convention will be mandatory but limited as far its scope is concerned. In the end, however, the true loser in the ARA Libertad case isn’t the Tribunal. It isn’t even NML Capital, the thwarted judgment creditor that kicked off the dispute in the first place — they’ll likely just find a new scheme for how they can get their billion dollars back from Argentina. The real loser is Ghana. Ghana didn’t even have a stake in this fight, initially. It was Ghana’s bad luck that NML Capital ultimately decided to use Ghana’s domestic judicial system to try and collect against Argentina. By not finding some judicial excuse to deny NML’s request for an injunction, Ghana’s judiciary dragged the whole state into an international dispute that was never its to fight in the first place. It was Ghanaian tax payers that bore the brunt of the costs, too; the Ghanaian port authority lost a reported $7.6 million as a result of the ARA Libertard proceedings. But maybe Ghana won’t be totally out of luck — and perhaps the litigation over the ARA Libertad affair isn’t entirely over. As of December 2012, anyway, the Ghanaian Port Authority was considering going after NML Capital to recover its losses. Update, 2-26-13: Looks like Argentina was more serious about this arbitration than it initially appeared. Argentina had requested that the President of ITLOS appoint three arbitrators for the arbitration panel. Presumably, then, Ghana did nominate its own choice of arbitrator, but the parties were unable to decide upon the remaining three. It will be curious to see whether Argentina continues to prosecute this action. The United Nations Convention on the Law of the Sea (“UNCLOS”) is up for debate before the U.S. Senate once again, which means the perennial debate over whether the U.S. should finally ratify the treaty is currently making its rounds through the media. Last week, five former Secretaries of State — Henry Kissinger, Condoleezza Rice, George Shultz, James Baker, and Colin Powell — joined in on the effort, publishing an OpEd in the Wall Street Journal on Time to Join The Law of the Sea Treaty: The U.S. has more to gain by participating in convention deliberations than by staying out. The former Secretaries of State lay out their case for why ratifying UNCLOS in our national security, economic, and sovereign interests. Unfortunately, judging from the tenor of other recent articles and political statements regarding UNCLOS, this latest round of debate before the Senate will not be any more productive at achieving that end than prior rounds have been. The political wrangling over whether or not to ratify the UNCLOS has long been stalled out in the U.S., having been transformed into an argument between competing ideals rather than a policy debate. Opposition to UNCLOS is often not really about UNCLOS; the question has instead become a symbolic fight between two opposed camps, the sovereignists and the internationalists, regarding the U.S.’s proper role in the international community. Are we going to protect the democratic interests of the American people from foreign interference with our national interests by non-democratic international organizations? Or are we going to be a good little team player, and join UNCLOS to demonstrate just how committed the U.S. is to cooperation and kumbaya? As a result, the arguments against ratifying UNCLOS tend to mention “sovereignty” a lot, without ever going into too many specifics, or else recite a list of generic problems inherent in just about any international agreement, without ever specifying why UNCLOS is more objectionable than any other treaty. In recent months, however, the argument de jure of the sovereignists has been that the U.S. cannot join UNCLOS because of China. Herein lies a major danger in U.S. ratification of UNCLOS. In adopting, promoting, and acting on new interpretations of international law, China is attempting to upset the status quo and establish new norms of maritime behavior. By signing up to UNCLOS, the United States might unintentionally signal approval of these errant interpretations. Besides, we are adhering to UNCLOS. It’s the Chinese that are trying to redefine UNCLOS according to their own purposes, without re-negotiating the contract, and in so doing undermining customary law. With China emerging as a major power, ratifying the treaty now would encourage Sino-American strife, constrain U.S. naval activities, and do nothing to resolve China’s expansive maritime territorial claims. … If the Senate ratifies the treaty, we would become subject to its dispute-resolution mechanisms and ambiguities. Right now, since we are the world’s major naval power, our conduct dominates state practice and hence customary international law—to our decided advantage. So, to summarize these claims: (1) Joining UNCLOS would be bad because, through China joining UNCLOS, China has been able to redefine the law of the sea by arguing for new interpretations of it; and (2) Joining UNCLOS would be bad because, through the U.S. not joining UNCLOS, the U.S. has been able to redefine the law of the sea through its own practices. As the world’s pre-eminent maritime power with one of the longest coastlines, the U.S. has more than any other country to gain—and to lose—based on how the convention’s terms are interpreted and applied. By becoming party to the treaty, we would strengthen our capacity to influence deliberations and negotiations involving other nations’ attempts to extend their continental boundaries. Which is probably why the pro-UNCLOS factions have, for nearly two decades now, failed to get UNCLOS ratified. No matter how you try and spin it, “increasing our capacity to influence deliberations” sounds like a rather flimsy prize, especially when it comes at the cost of American sovereignty. But this lack of substantive debate likely persists due to the fact that the practical effects for the United States for ratifying UNCLOS, whether negative or positive, have been relatively minor. To date, the U.S. has done a decent job of splitting the baby when it comes to UNCLOS, consistently abiding by most of UNCLOS’s provisions while simultaneously claiming to only be following customary law. As a result, the question of whether or not the U.S. should formally ratify the convention has been largely academic. Because the U.S. has been a superpower throughout all relevant points of UNCLOS’ existence, whether the U.S. joins or doesn’t join UNCLOS has made so little difference that the U.S. could afford to ignore the debate altogether, or at least make it into a question of lofty principles rather than concrete policy. Which is why the U.S. has succeeded in being the only major power that has avoided ratifying UNCLOS — the stakes just haven’t been that high. But UNCLOS has been in force for eighteen years now. U.S.’s strategy of refusing to commit one way or another will not come without a price for much longer. Starting with 60 member nations when it came into effect in 1994, UNCLOS now has 162 members, including every Western nation other than the United States. During that time period, UNCLOS has been steadily solidifying, from its initial existence as a recital of customary international law, into the widely-adopted international institution it is today. With 80% of the world’s nations party to it, UNCLOS is now the framework by which States negotiate the division of sovereignty interests over the world’s oceans. The law of the sea is no longer made through pure customary law, as it was in the 18th and 19th centuries; the frame for the debate has changed, and as a result UNCLOS and law of the sea are now effectively synonymous. This is not to say that the rules under the UNCLOS regime are vastly different from what the rules were under the old pure-CIL regime. The actual substance of the law of the sea has not changed all that much — in most situations, complying with customary international law of the sea means complying with UNCLOS, and vice versa. But even if the rules themselves haven’t changed, the ways in which those rules could change has been altered. UNCLOS is now the mechanism to which the overwhelming majority of states turn when they feel a need to settle a question regarding the content of the law of the sea. True, the old law of the sea is not likely to experience much upheaval, and UNCLOS is less important there — those customary norms were developed over centuries of seafaring, as states scuffled and squabbled with one another until an adequate balance of their rights was finally struck, and as a result those rules now enjoy a sort of tenure under international law. But UNCLOS also provides the framework under which new rules are crafted, tinkered with, implemented. When, due to political or environment change, novel situations arise — be it the development of new deep seabed mining techniques, the opening of the Northwest passage, commercial investments in Antarctica, rising international sea levels, or what have you — states will have to find new ways of drawing jurisdictional lines and of coordinating their activities. Right now, the primary institution for establishing those new ways is through UNCLOS. UNCLOS provides both the procedural mechanisms for how and when states actually talk to one another, and the substantive rules that they play by. When new jurisdictional schemes need to be created, states anchor their claims with references to UNCLOS, and expect states advancing competing interests to do the same. States that try to advance their interests outside of — or worse yet, in contradiction with — this framework are punished for it, occasionally through hard procedural mechanisms, but more often through a softer loss of diplomatic power. True, using the social framework of UNCLOS will not be nearly as effective as using the world’s strongest navy, when it comes to advancing the national interest — but the UNCLOS framework is present in every debate and discussion among UNCLOS members regarding international law of the sea, setting the scene for international relations for years to follow. U.S. naval ships, in contrast, are only invoked on the occasions where the U.S. direct interests are on the line, and are rather imprecise tools when it comes to shaping the precise contours of international law. John Bolton, in the OpEd quoted above, displayed a somewhat questionable understanding of the concept of “state practice” by making the dubious assertion that the U.S. can unilaterally establish state practice, simply by virtue of its status as a superpower. But even if this claim were true, it fails to recognize a corresponding fact — that the overwhelming majority of state practice and opinio juris both lies behind using UNCLOS’s mechanisms as a means of developing international ocean policy. Superpower or not, the U.S.’s “state practice” of refusing to operate through UNCLOS hardly outweighs the state practice of the 162 nations who do use the institution. The institutional weight of UNCLOS is becoming firmly entrenched, and the longer the U.S. refuses to play ball, the less opportunity the U.S. will have to shape that institution in ways favorable to U.S. interests. When it comes to the generation and development of customary international law of the high seas, UNCLOS is currently the biggest game in town. In a decade or so, it will be the only one. China, it seems, has realized this already. Maybe the next time ratification of UNCLOS comes up for vote before the Senate, the U.S. will have finally realized it too. The so-called “Sea Shepherd” activists — Geoffrey Tuxworth, Simon Peterffy and Glen Pendlebury — boarded the Japanese whaling vessel Shonan Maru II early Sunday morning off the southwest coast of western Australia. The three men are members of an Australian environmental organization called Forest Rescue Australia and their mission was designed to prevent the Japanese whaler from tailing an anti-whaling flagship belonging to the Sea Shepherd Conservation Society. Because this all took place about 16 miles off of the Australian coast, the men boarded the ship and were apprehended by the Japanese vessel within Australia’s contiguous zone. There now seems to be a dispute between the Sea Shepherd organization and the Australian government over the significance of this fact — with the Sea Shepherds believing, while the Australian government is stuck in the position of awkwardly noting that the three men who boarded the vessel are subject only to Japanese laws. [Federal Attorney-General Nicola Roxon] said consular officials were attempting to contact the men, and the Government’s priority was to ensure their safety and well-being, and return to Australia. “It is a difficult situation. This incident happened outside our territorial waters, in our exclusive economic zone,” she said. “But that doesn’t give us rights for Australian law to automatically apply. Capt [Paul] Watson said he had not expected the men to be taken to Japan and charged. He accused Attorney-General Nicola Roxon of “not doing her homework”, adding the vessel was only 16 miles off the beach. Unfortunately for the Sea Shepherds, however, their interpretation of international law is a bit misguided. The contiguous zone’s actual significance is pretty negligible in most contexts, and completely negligible here. The contiguous zone is the band of ocean territory just beyond a nation’s territorial waters, and overlapping with its EEZ. 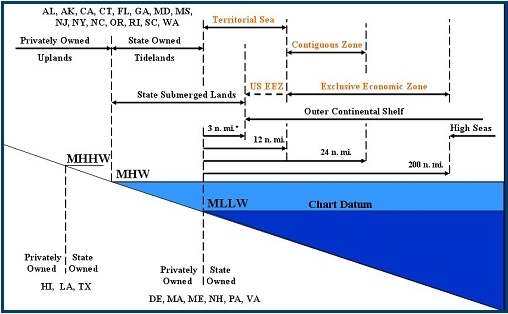 States are permitted to extend this zone up to 24 miles from their coast; this means, in the typical circumstance, a nation’s contiguous zone is a 12 mile band that begins 12 miles out at sea, where the state’s territorial sea ends. And that is pretty much the extent of the contiguous zone’s importance, when it comes to a coastal state’s jurisdiction over foreign ships. Moreover, as the Shonan Maru II is not itself a whaling ship or a research ship — it’s basically a bodyguard for the whaling ships, engaged in counter-harassment measures against the Sea Shepherds — it was not even taking any actions which could have subjected it to Australian regulations at the time the Forest Rescue men boarded it. As for Australian criminal laws (even presuming that the Japanese could possibly have committed any violations), such laws are only enforceable in the contiguous zone to the extent that the enforcement was related to violations that occurred or were about to occur within Australia’s territorial sea. Here, all of the events concerned took place outside of territorial waters, and so Australia’s extended enforcement jurisdiction is inapplicable. As such, if any criminal acts occurred with regard to the boarding of the Shonan Maru, the crimes were probably committed by the Forest Rescue activists rather than the Japanese whalers. In fact, an argument can even be made that, by forcibly boarding a Japanese vessel outside of Australian territorial waters with the intent of detaining it, or at least of diverting its course, the activists were engaging in an act of piracy, pursuant to UNCLOS Article 101. Although the Japanese whalers are hardly innocent when it comes to breaches of international law, in this case, it is the Sea Shepherds that are in the wrong.